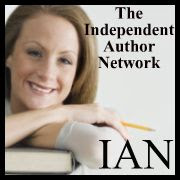 Good Day and welcome to Authors Interviews with a difference. Over the next few weeks I shall be welcoming different authors to my blog and seeing how they perform against others. Enjoy the fun! Good evening and welcome to tonight’s edition of Authors’ Mastermind. My name is Faith Mortimer and as Mastermind’s host I welcome tonight’s first contender. Could you please state your name and occupation? Sarah Barnard and I’m a certified lunatic…. Erm, I mean, I’m a writer and publisher. Thank you. FM. Now, can you tell us your chosen subject? SB. Me, my imaginary friends and the writing process that created them. FM. Thank you. Now would you please answer the following questions on your chosen subject. You have a maximum number of 250 words on each question. If you do not know the answer, say pass and we’ll move on to another question. The total number of passes will be counted and deducted against your final score. Are you ready? (SB nods). Good then I’ll begin. 1. Sarah Barnard, how do you describe yourself; as a writer and as a person? I try not to… I’d rather leave that sort of describing to others.But if pushed I’d say I’m someone who can’t just stay in the normal and every day. I love playing with ideas, taking that extra step into a fantasy world. It’s who and how I am, both as a person and as a writer. I’ve always played with ideas, with words, made things up, had imaginary friends and played in imaginary worlds. What’s the point of an imaginary world that’s just the same as this one? If you’re going to imagine a new and different world then why not have fun and make it special?I’m green, but the shade varies depending on what my life is doing and who you talk to. I like my modern life, my car and my broadband connection, but also love my garden, home grown veg and my chickens and I do worry about the effect we humans are having on our beautiful Earth. That tends to be reflected in my writing as well. On more mundane notes I’m a single mother with 2 rapidly growing, and demanding children. Oh, and I don’t tend to actually “write” as such, I prefer to type… But when I do write it’s with a proper fountain pen with an assortment of coloured ink, but usually the blackest black. That depends on your definition of “crazy”! I keep 3 hens in my garden, is that interesting, or crazy? I choose to stay single and I’m happy that way. I knit. Does that count? I’m a Downsizer, now that has certainly been called interesting and crazy, as well as inspirational. I suspect that I own more material things that I’ve swapped, bartered or acquired than I’ve paid money for – if you don’t count food, and even there the hens gift us with eggs every day and I grow some of the fruit and veg we eat. Downsizing is a way of redressing the work/life balance and for me that’s meant giving up a “proper” day job and running my own business from home so I can be here for my kids. I have no commute, no boss telling me what to do and the freedom is amazing. But the thing that gets me the most sideways glances is that I refer to my characters as real people, as if they’re friends who I’ve just not seen for a while. “I’m playing with Lily today.” Is often the answer to “What are you up to?” I know I’m not alone with this, other writers do it too, but friends who are not writers do tend to give me odd looks when I’m in mid flow and my head is stuck in my own little world. 3. Briefly, describe your journey into writing, your first book, and what or who inspired you. I started writing when I first picked up a pencil and worked out that it could make words…. At some point between then and when I was in my 30s I somehow never got round to actually finishing anything. Then my life turned upside down when a 17 year relationship ended and from the turmoil that caused, and with the support of one of my best friends, I was drawn into writing more constructively. She got me writing in tandem with her first and I loved it. It was intense and just the distraction I needed. As November approached that year, and the evenings drew in and Christmas was getting closer and I was an emotional mess, she dragged me, kicking and screaming, into the NaNoWriMo challenge. (It’s where you challenge yourself to write 50,000 words in 30 days) She helped, challenged and ultimately dared me to do it. There, from the madness that is NaNoWriMo, The Portal Between was born and for the first time in my life, I finished a WHOLE book! What a rush that was. Well, I say finished a book, I succeeded in the challenge and at the end of November I just didn’t stop. But I did eventually finish the book, only to realise that the story wasn’t over and Sam, Kate and Lily wouldn’t let me stop there. Yes! I’m always working on something. I have a large file on my PC with scenes, notes, characters, bits of half started stories…. If I don’t have a planned project on the go then I pull one of those out and add to it and eventually those documents may find their way into a book. Right now I’m editing and polishing the final Portal series book, Child of the Portal and I’m planning on that being released on Amazon kindle in time for Summer Solstice – Midsummer/ June 21st. Child of the Portal brings the Portal series to a close although there is the potential for more if I ever feel inclined to revisit that world. Behind that I have a new character to play with. Sage is here in 2 forms at the moment and telling her story in snatches and chunks that I’ll need to patch together eventually. I have her as an 18 year old tearaway who has just crashed a stolen car in a field and been rescued by aliens. Then I have her in her mid-30s and saving the world with a space faring car and loads of alien gadgetry. She’s lots of fun. At the moment I’m just writing bits as they come to me and hoping that some sort of book length story will emerge in time. Oh yes! I stall at around 28,000 words, every single time. No idea why but at that point I often abandon projects and let them stagnate. I struggled with both the major character deaths in Child of the Portal and it took me months to get past those and write the rest of the tale.Oh, I wasn’t meant to be answering that was I? Never mind…. Child of the Portal tells Susan’s story more than anyone else. It’s Lily’s turn to struggle and learn to let go, to be challenged and lose her grip on the control she’s had. But in many ways it’s Susan’s story and tells how she copes with her own emerging magic and the responsibility it brings. It’s her choices and her growing away from the role she is pushed into and she has to do it all while grieving for her mother. In Child of the Portal I found myself exploring the shock of grief after an unexpected death and the way it never really goes away, but it sneaks up and slaps you round the back of the head when you least expect it. But it’s not a dark or unhappy book, there’s celebration and healing in there too and a definite feeling of peace, calm and closure at the end of the last page. My ideas come from all over the place. Inspiration can strike at any moment from the shape of a cloud, the sound of a stream, something said, something half seen from the corner of your eye. My writing days have no definition really. I write when I feel the plot and story flowing, and sometimes when it’s not. I write during the day, in the evening and late at night. I write in between hanging the washing out, doing the garden, housework, cooking…. And I always, always have a notebook and pen with me if I’m out of the house for more than about half an hour. My writing space is cluttered and messy, piled with 4 unfinished knitting projects, a half packet of headache pills, a stack of books and several pots of pens, pencils and knitting needles. It’s also surrounded by pictures that my kids or I drew, and has a radio that’s almost always on. There’s a window that looks onto my garden and I can just see my hens from where I sit. My PC is always connected to the internet and I flit between writing, promoting, and facebook, twitter, Amazon….. Lots of procrastinating goes on. How long on a project? Anywhere from 28 days to several years. It depends on the story, on the time of year, the colour of my socks and how much tea and chocolate I’ve had. I’ve finished the first draft of a story in 28 days, that’s the fastest I’ve ever done. But others have taken a year or more. What do you mean “base them on real people”? My characters are all real people, who happen to live in my head… Yes, I base aspects of some of them on real people. But each character is their own person, unique even if certain friends of mine will recognise themselves now and then. I let my characters develop themselves really, I guide and throw situations at them and then see how it all works out. I love it when a character takes over and drives a story unexpectedly. In my Portal books, Lily was originally created purely because Kate needed someone to look after the kids when she went to help Sam come home. But as I was writing those first scenes, Lily said some things that just felt odd, there was something more there and I was intrigued at what was coming up through my subconscious. She just took over and became the focus for the whole thing. If a character is interesting then they carry the whole story, they’re vital to the reader and act as the intermediary, explaining and showing this wonderfully strange world you’ve entered when you began to read a book. Love them or hate them, that central character or those characters are, your window into their world. They are your guides, your guardians; they show you how things work. Editing? **shudder** I put it off as long as possible. I find it works best for me if I do an almost immediate reread as soon as I finish that first draft and then file it away for at least a month before reading through again and only then do I send it out to the first round of test readers and at that point I take a complete writing break. Then when it comes back I do the edits, very very slowly. I hate editing. It’s not a trial or tribulation really, is it? It’s just one person’s opinion and unless the rejection is particularly personally vitriolic then I just brush them off. If we, as writers, took every rejection letter to heart then we’d give up. We have to believe that our work, our words are better than that and whoever it was who said “No thanks” are missing out on our talent. It’s not a rejection of me, or my books, it’s just a “not for us at this moment in time” or possibly a “this isn’t our kind of book” It’s not a big deal, there are other routes. Not writing? I can’t conceive of a time where I’d not be writing. Not now. Even if I were employed then I’d still be writing, just not in the same way. I’d fit it in somewhere. As for my choice of employment, I have no idea. I’ve been self-employed for 8 years now and I don’t want to change that. Thank you. Your score on your chosen subject is 9. I’m afraid you lost 1 mark as you didn’t read the question and answered one question too many, but a fine score so far. I suppose reading through my own books for continuity checks doesn’t count? Ah well…I just finished Tess Gerritsen’s The Killing Place and started on Mel Comley’s Final Justice. I generally have one paper book by my bed and at least 2 in mid read on my kindle. Oh there are so many…. I adore Robin Hobb’s Six Duchies series, all 12 books so far. Anne McCaffrey’s Pern books, and the Tower and the Hive too. Julian May’s Saga of the Exiles and the associated Intervention books too. Harry Potter is another set I read over and over again like revisiting an old friend – and I can’t wait for the last film. Tess Gerritsen’s Isles and Rizzoli stories are great as well. Then there are all the independent authors I’m meeting as my own writing journey progresses. Mel Comley is a surprising one, as I don’t normally like straight police drama but her Justice books have me gripped. Oh, that’s six… I can’t pick just 5, sorry. Do you mean the 5 from the previous question? Or any other 5 favourite people? Real people who might actually come to my house? Or not? And does “cooking” include walking round to the take out Chinese round the corner? Oh the dilemma…. Yeah, ok, the procrastination. I’m not an adventurous cook but I do pasta with a smooth tomato and veg sauce well – served with a salad and garlic bread, and there’s a fab apple pudding that comes from Ree Drummond’s Pioneer Woman blog that is just divine and so easy to make. Serve with either cream or ice cream and it’s sooo rich.Oh, but a dinner guest? Hmm, can I invite Emma Thompson please? Or my best friend, Kris? Or Kerry, or Gillian Anderson…. Or all of them? I admire a great many authors. But to say any of them inspire me? I’m not sure. I think the story of JK Rowling has inspired me for sure. She was a single mum, like me, living in a similar situation to me at the moment and that is inspiration enough to say that if she can do it then there’s nothing to stop me either. I’d love to go to New Zealand, and Canada. Both are places that I’d love to see one day. I want to drive a hybrid or electric car, I’d love to own one too but a test drive will do for starters. I’d love to be able to buy a car straight from brand new, with only delivery mileage, so no-one has driven it before me. I really, really want, one day, to help design my own home and have it built. It would be set in some land where I could raise hens for both meat and eggs, have a couple of pigs, a huge greenhouse and plenty of space for a small orchard too. It would be eco-friendly, self-sufficient and also have a very tall wall round it. The sun is shining, but not too baking hot so there’s a cool breeze and the garden is lush and green. The words are flowing and I am writing in long bursts with no interruptions (so Facebook is probably down for maintenance or something). My hens are clucking gently in the background, along with the other birds that frequent my garden – but I’ll cut out the traffic noise from my ideal day. To be perfect I’ll have to shift my location to somewhere close to either woodland or the sea, or both. So, with the parts above, I’m also in a wood floored house, sitting at an oak desk, writing away with the windows open and the sound of the sea just audible through the sound of the breeze in the trees. In the fridge there is chilled fruit juice, a simple mixed salad with Greek feta cheese, some crusty bread on the side somewhere – preferably freshly baked so the smell is wafting through the house too. I won’t be up early, rising around 10am for a leisurely breakfast, that salad for lunch and I’ll think about dinner later. In between writing bursts I’ll be wandering round my garden, a bit of weeding, a chat with my hens. Then much later on, I’ll enjoy sitting outside in a still warm evening, watching bats fly. With that much peace and quiet I’m assuming my kids are out, probably away for the weekend. 7. What has been the most memorable thing that has happened to you in a, your writing career and b, in your private life (again, only clean answers will be accepted). B first. In my personal life, the most memorable, life changing thing is having my kids. Trite, I know, but it really is. It’s a wonderful thing to grow a new life within your own body and then bring it forth and hold and love that child. A. In my writing career? Finishing that first book, publishing it and holding that first print copy in my hands. Incredible. Disciplined? I can barely spell it…. No, not in the least disciplined, but from the chaos does come form so there must be something working there. I’ve been described as driven, much focused. So, maybe there’s a kind of discipline there. No. I don’t have a dart board, but I do have a folder with the rejection letters in, for reference more than anything. If I want to try querying agents and publishers again one day I want a record of who I’ve tried before, and with which book. I suppose 5 very thick notebooks don’t count? I can get ink from local squid or something? No? Ah well… worth a try.How about one of the Sherlock Holmes volumes, a compendium of Anita Blake stories, and the last Six Duchies book – Fool’s Fate, and, umm, can’t I just take my kindle and a solar charger? No? OK, that’s 3 – yes, it’s just 3. You said books, not stories. Two left. I’ll get all practical and take a couple of books on survival please – one about shelter, finding water, medicinal plants, that sort of thing, and one on raising your own food – appropriate to the climate of the desert island. Thank you. Your time is now up. You managed to complete 20 questions with no passes. You failed on 3 questions; In section A you answered 1 question too many. In General Knowledge you failed on 2 questions– you gave 1 too many authors and you invited only 4 people to dinner. Your overall score is 17. We shall see how you do against the other contenders. Well done Sarah Barnard and thank you. I love these kinds of things on blogs. Well done Faith and Sarah. Interesting stuff. Love this bit: "No, not in the least disciplined, but from the chaos does come form so there must be something working there"